Join us for our first “Lunch & Learn” on Friday, March 16. 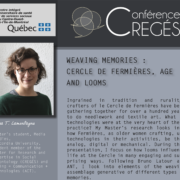 ACT RA, Nora T. Lamontagne will present her research about the “crafters” of le Cercle de Fermières. Ingrained in tradition and rurality, crafters of le Cercle de Fermières have been gathering together for over a hundred years to do needlework and textile art. 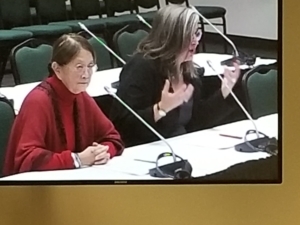 What if technologies were at the very heart of their practice? 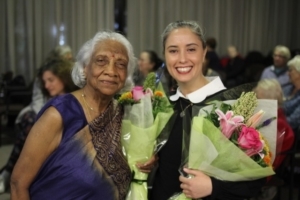 My Master’s research looks into how Fermières, as older women crafting, use technologies in their activities, be them analog, digital or mechanical. During this presentation, I focus on how looms influence life at the Cercle in many engaging and surprising ways. 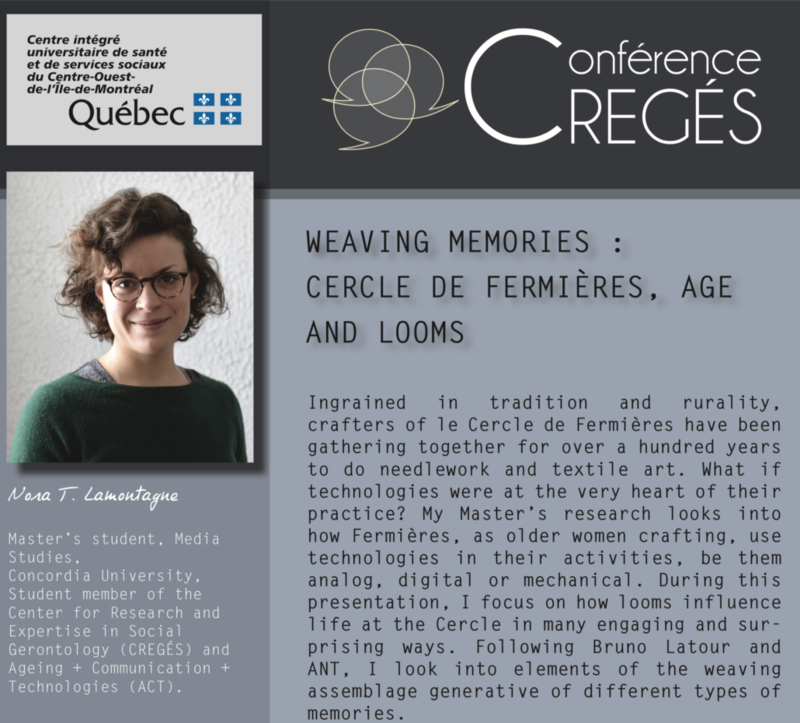 Following Bruno Latour and ANT, I look into elements of the weaving assemblage generative of different types of memories.